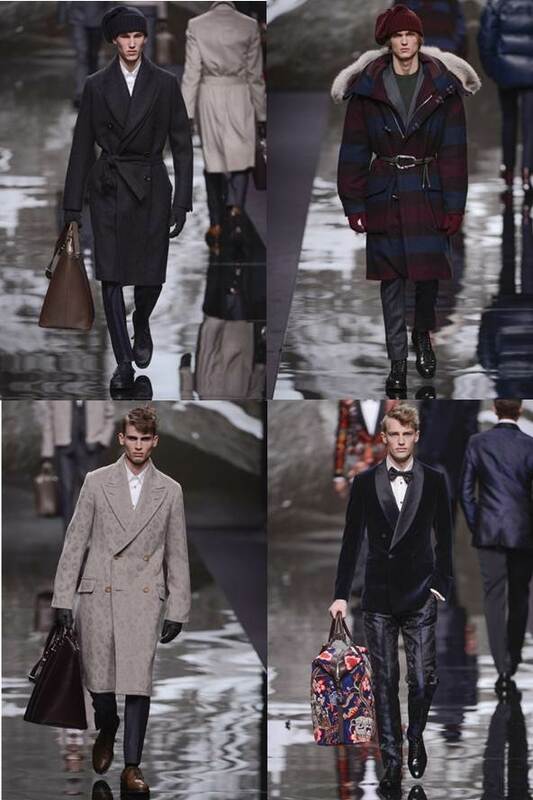 Its not just in London that the snow is falling – it was doing so as a point of inspiration for Kim Jones and his menswear collection for Louis Vuitton in Paris today too. The collection – an ode to Bhutan and Nepal and mountainous climes – opened with a beautifully classic double-breasted coat, elegantly consumed by snow leopard spots, a shorter, boxier version followed worn over a sleek grey suit, goggle-style sunglasses on top. This was a modern adventurer and explorer and, frankly, wherever he’s going, we’d like to follow. There were nubbly knits and jaunty knitted beanies, lounge coats and a colourful riff on pinstripes – suits of which were topped with winter parka jackets that will definitely keep those chills out. In blues and maroons, there was texture and there was volume – Puffa jackets a real must for this man – and that little snow leopard made sure he was remembered, featuring again as a motif on a jumper and his spots on furry collars later on. Hope you enjoy the post and have fun in the snow.